I purchased a 2013 RR HSE and had it shipped from across the country. 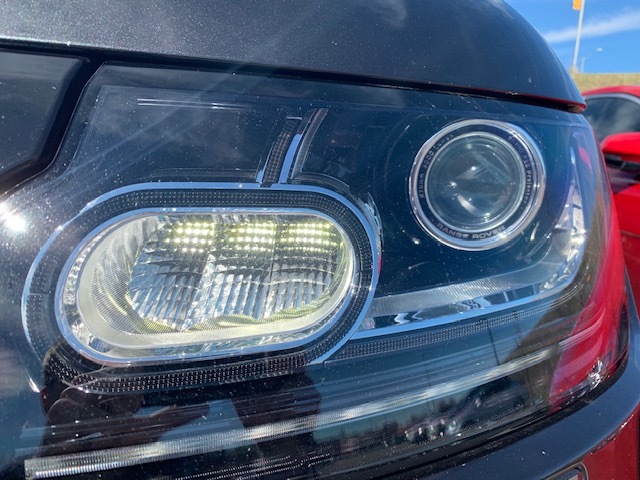 It has the non-adaptive headlights with no signature DRL. Excuse my ignorance, but I didn't even know headlights without a signature DRL strip existed. I can pick up a set of adaptive headlights with signature DRL for pretty cheap on eBay, but I'm don't know if they'll be plug & play. I'm confident the LED strips will light up, but not sure if the adaptive light will be an issue in a non-adaptive car. Anyone have thoughts before I pull the trigger on a new set of (used) lights? That's interesting...I thought the signature DRL's were standard on the L405. Do you happen to have the original window sticker? 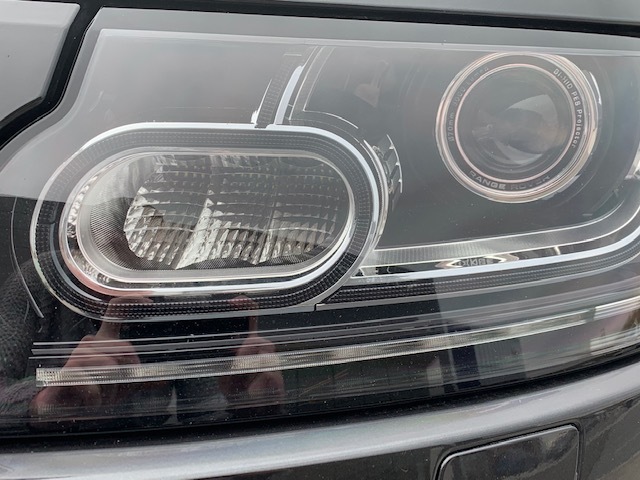 The window sticker does not say it has signature DRL, just the LED DRL (pictured). I looked into the order guides for the 2013 HSE and I can't find any package that would include the DRL either. I attached pictures as well. It looks like mine. Could they be disabled in the system? I think they are likely disabled in the computer system. If you're not able to adjust in your instrument cluster I would ask your nearest dealer to enable them. Also, if I'm not mistaken they come on when you put the vehicle in drive. I think the come on when you hit the key fob button as well. I second localbrew's comment...I don't think I've ever seen an L405 without the DRL's on when driving. The gear selector is not in Park (P). The Electric Parking Brake (EPB) is not applied. Market dependent. Auto lights are selected and high ambient light levels are detected. 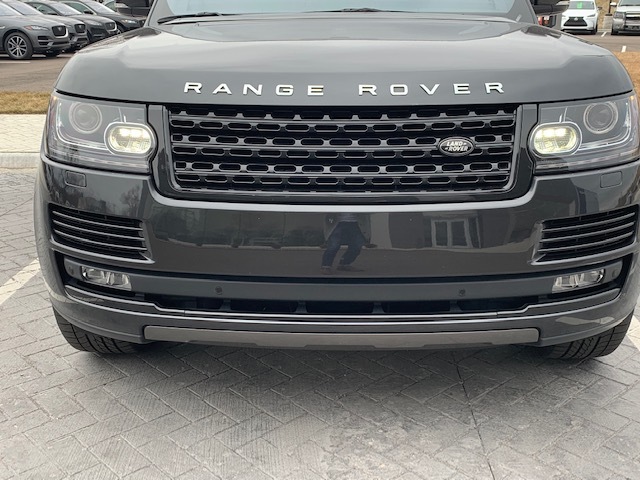 Unless required or prohibited by law, the DRL can be disabled or enabled by a retailer/authorized repairer. When I took delivery of my 2013, the dealer asked me if I wanted them to be enabled or disabled. I am sure that this can be easily remedied if you so desire. Thanks guys, but refer to my reply with pics. The first pic shows my DRLs lit up. They just aren't the signature LED strips. The second pic shows black plastic where the singature DRL strip WOULD be. 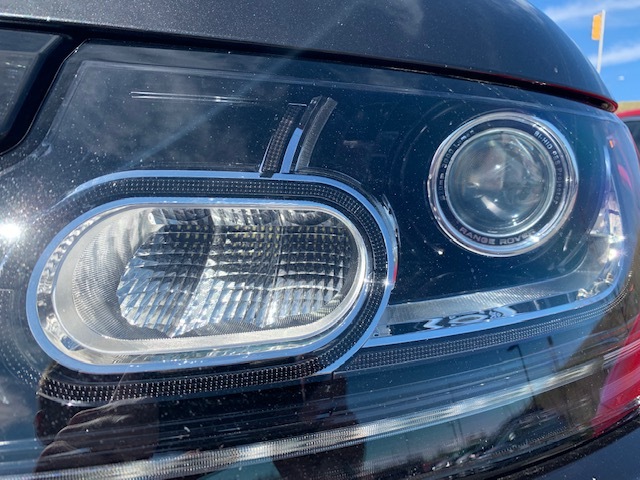 This is why I'm curious about retrofitting the headlights to some that have the signature LED strip. Any thoughts? 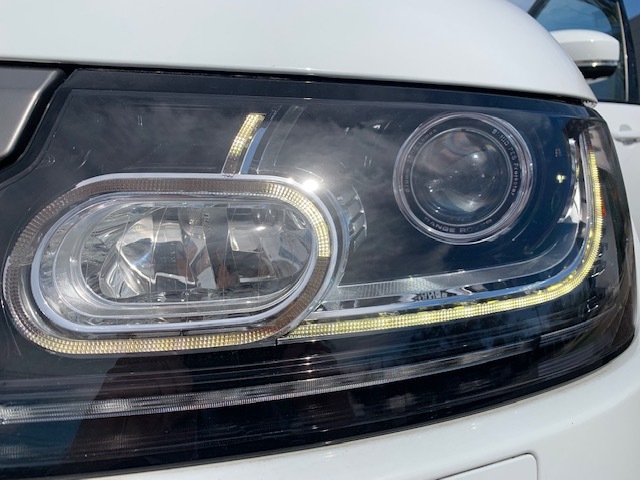 I don't know if I understand (and perhaps I am wrong), but I thought that the DRL and LED strips are two separate things. Your DRLs are active. That can be changed if you desire. The LED strips illuminate when the vehicle is placed into gear. I cannot explain the black plastic. Unfortunately, my vehicle is being serviced and I cannot double check it at this time. I do not believe that there was some sort of option to spec a vehicle without the LED strips. I don't know if the strips are non-functional or if the lights have been replaced. The LED Strips are the daytime running lights. They are not separate. If the vehicle is not in gear (during the day), no lights will be active. When placed into gear, the DRLs light up. In most L405s, the DRLs are the signature LED strips. In mine, the DRLs are in the smaller rectangle within the headlight. For clarity, I provided pics of mine in park and in drive, vs a 2017 in park and in drive. The 2017 has signature LED strips as the daytime running lights, and the inner rectangle is empty. Mine does not have signature LED strips, so the inner oval/rectangle contains my LED DRLs. 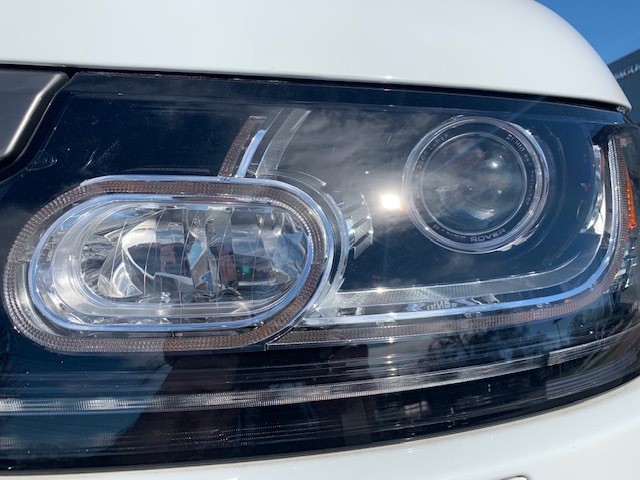 I 100% understand the functionality of how the DRLs activate, I've just never seen headlights like mine before. That's why I'm curious if a retrofit is possible. I've never seen that before on a L405. It appears that you do have the Strip LED's but they are not activated. I'm guessing that's something the dealer can do for you...I would try that before purchasing new headlights. That's what I thought when I first got the car, but if you check out the comparison pics between mine and the white one, you can see there is black plastic where the LED strips would be on my 2013. This is why I'm thinking retrofit would be my only option. OK, I see it now that you meantioned the black strip in your headlights. I guess the only thing for you to do is purchase a set of headlights that has the LED strip and see if they work.